Around 2:oo pm everyone in our house is ready for snack and usually ready for a sweet snack, so this is on our table several times a week. 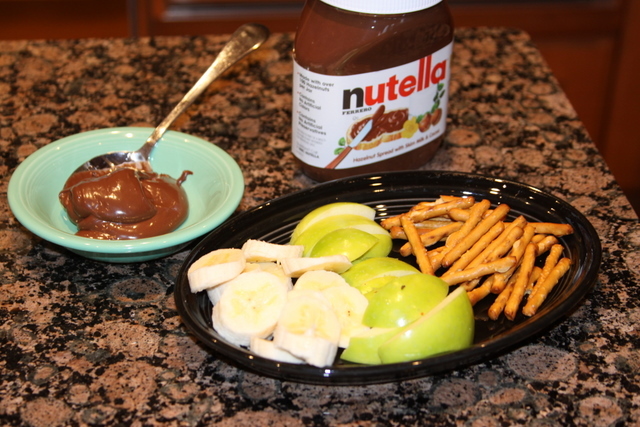 What does your family enjoy for an afternoon snack? 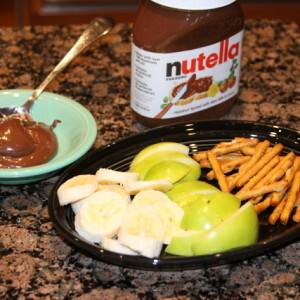 This picture is worse than I thought, there are sliced bananas, slice granny smith apples, and gluten free pretzels, and usually there would be a few strawberries on there too.